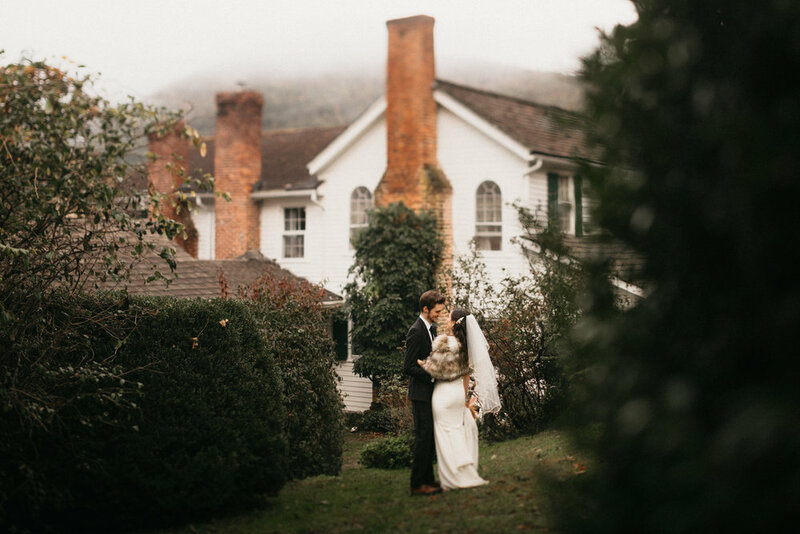 Taylor and Sarah planned a beautiful, fall outdoor ceremony in the mountains. Everything was set up and ready to go when the rain poured in that morning, and all the chairs and arbor were quickly moved under the clear top tent that had been set up for the reception. 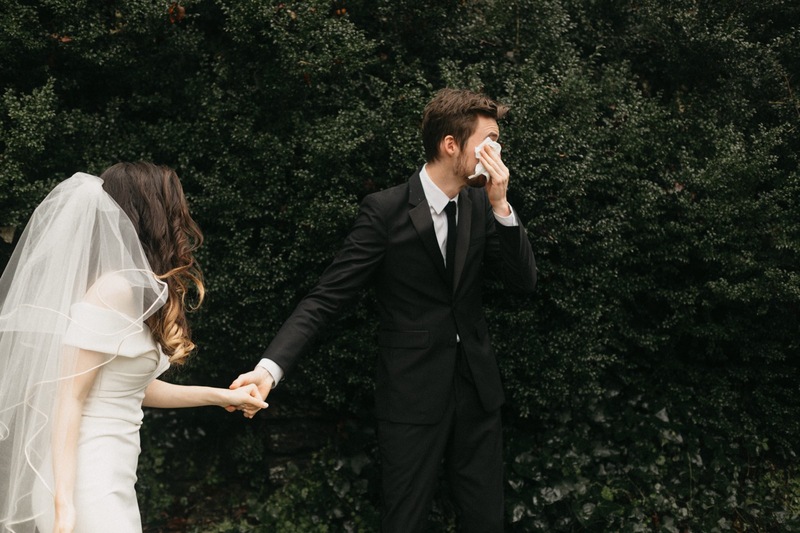 When that flooded, their set up was again moved under the porch, and the big outdoor ceremony quickly turned into a cozy, intimate one with all their friends and family. They got ready in rooms painted decades ago, playing poker and joking around before praying together with their bridesmaids and groomsmen. The rain stopped just long enough for a first look in the boxwoods, and everyone gathered for the ceremony. Old Sherrill’s Inn is close to my heart. I grew up running around the grounds as a kid and my husband and I are now building our own home just down the road. It’s an incredible place built in the 1800s; full of history, secret doors, and legends passed down through the generations. I can only imagine the past celebrations held on the same porch! Hope you enjoy the photos from their big day below.